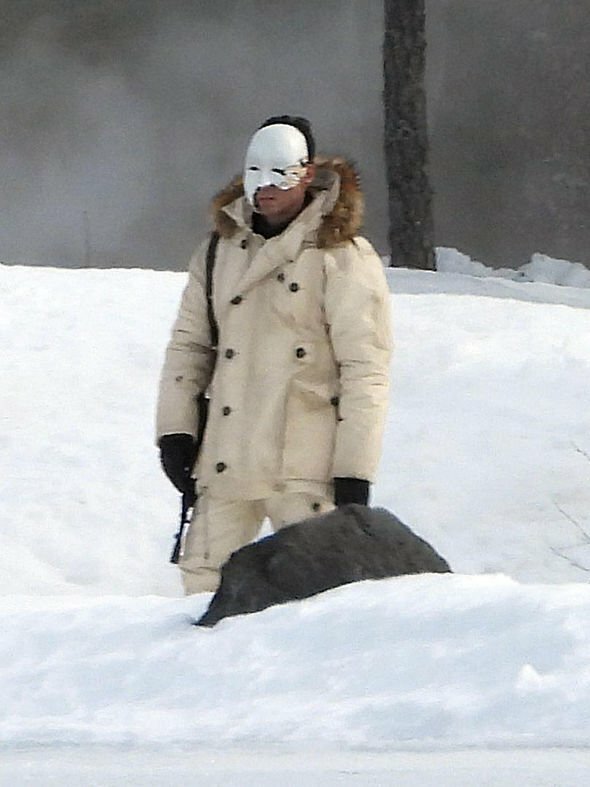 In the wake of yesterday’s set photo comes a new batch of images from Bond 25 that show a mysterious figure giving chase. 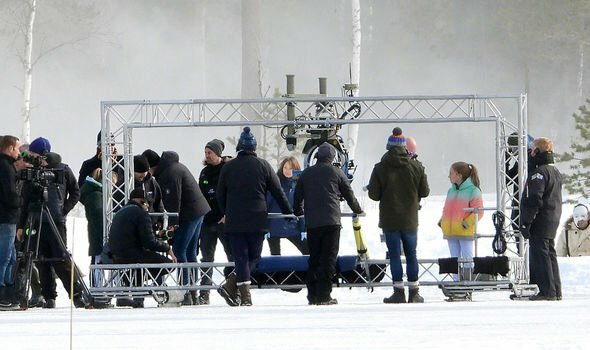 Filming for Daniel Craig’s fifth and most likely final outing as 007 has begun in Nittedal, Norway, and while the man himself has yet to be spotted, Splash News has now released several images and a video showing a masked figure limping through the snow in pursuit of a young girl. 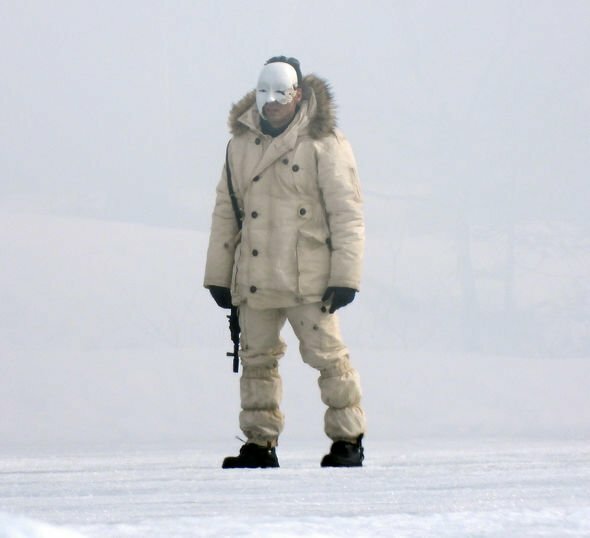 The video features a moment where the actress falls to the ground, indicating that VFX may ultimately show her plummeting through the ice below her. 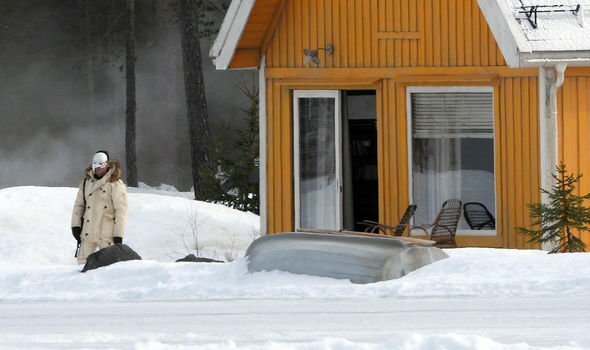 After that, her pursuer starts shooting through the ice before crouching down, as though he’s trying to pull her out of the water. No doubt there’s a whole lot of important context to this sequence that we’re not getting, but right now, plot details are practically non-existent. That being said, these last couple of months have at least brought us a fair amount of casting news. Alongside Craig, the film is expected to see the return of Lea Seydoux as Dr. Madeleine Swann, Ralph Fiennes as M, Ben Whishaw as Q and Naomie Harris as Moneypenny. Moreover, it was recently reported that Bohemian Rhapsody star Rami Malek is in final talks to play the main villain, while Lupita Nyong’o of Black Panther and Us fame is also being courted for a role. Directing this line-up will be True Detective and Beasts of No Nation helmsman Cary Joji Fukunaga, who told IndieWire last year that he wants to make a 007 flick that “subverts the genre but still stays faithful to it.” We’ll find out just what he has in mind when Bond 25 hits theaters on April 8th, 2020.